Astronomers think there are roughly as many brown dwarfs as regular stars like our sun, but brown dwarfs are often too cool to find using visible light. These tiny orbs are similar to stars but they are cooler and less massive. They lack the mass to fuse atoms at their cores and shine with starlight. Using infrared light, NASA's Wide-field Infrared Survey Explorer (WISE), will find many dozens of brown dwarfs within 25 light years of the sun. 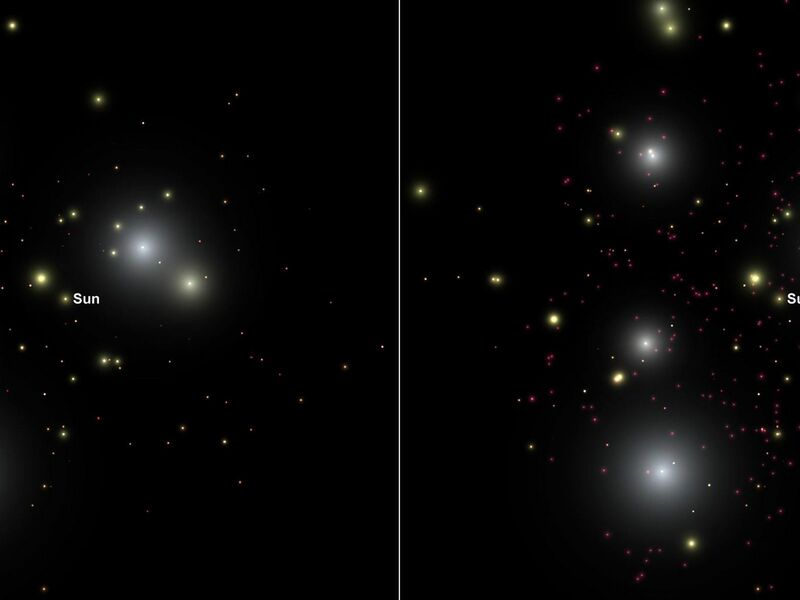 These two pictures show simulated data before and after the WISE mission (stars are not real). 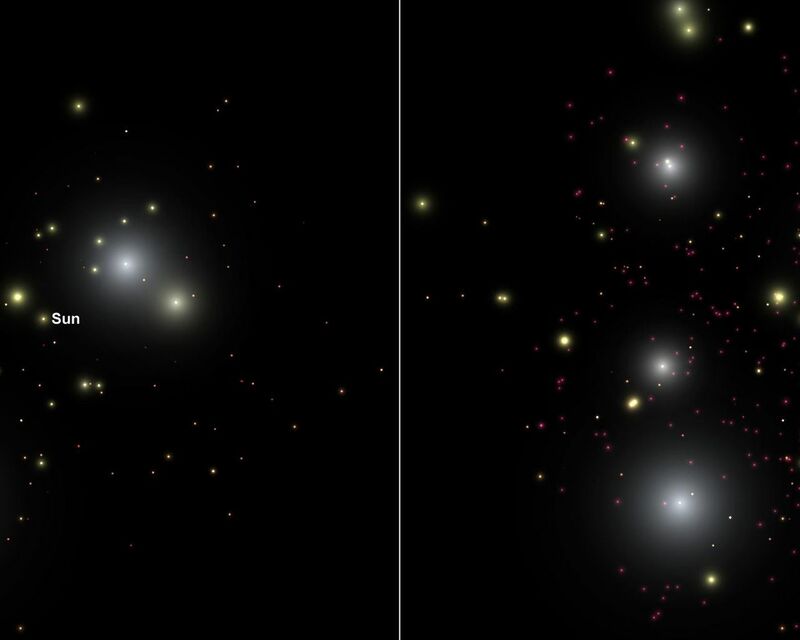 The simulated picture on the left shows known stars (white and yellow) and brown dwarfs (red) in our solar neighborhood. 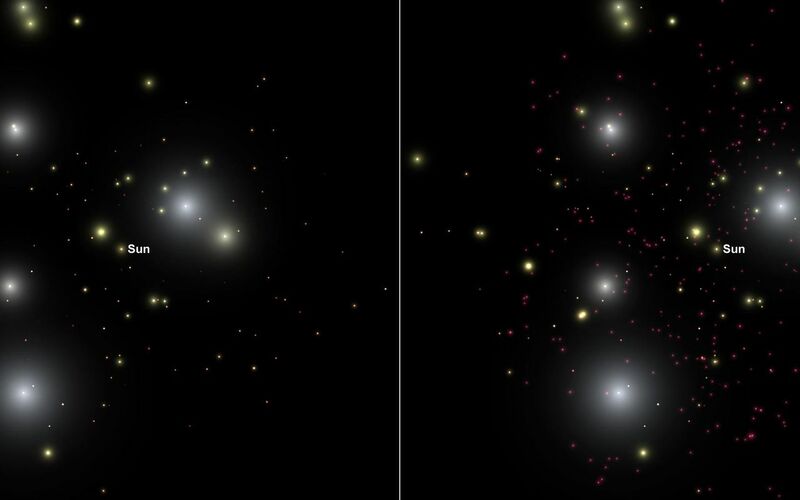 The picture on the right shows additional brown dwarfs WISE is expected to find. One of these newfound brown dwarfs could even be closer to us than our closest known star, Proxima Centauri, which is four light-years away.